I just love autumn, it inspires me in so many ways and is the best time of the year to watch the most vibrant and brightest shades. 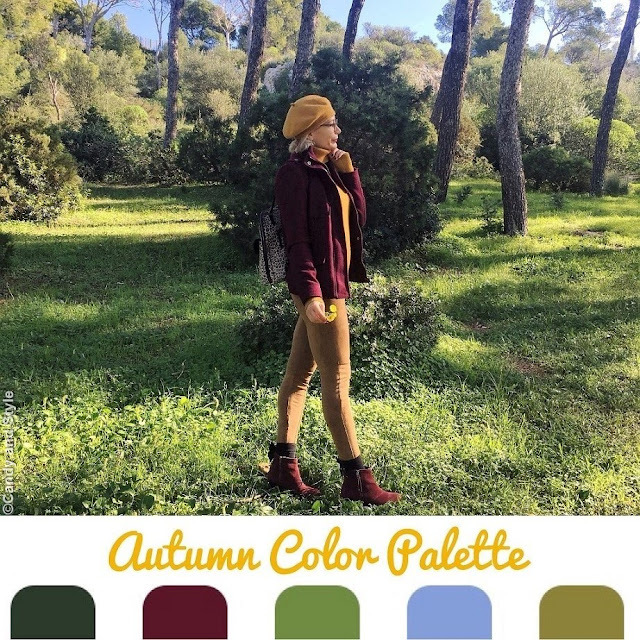 Nature turns brown, copper, yellow, red and pumpkin orange, with splashes of muted blue and soft grey, the classic and beautiful colors of the season that make you feel emotionally better and warm. Bella questa combinazione di colori, è un po'che non la uso, mi hai dato un bello spunto! adoro il burgundy in inverno. Hello Lilli, I agree with you, autumn brings with it a very nice range of colors and they all combine with each other. It is just taking some dry leaves to see the different tonalities that we can wear at this time of year. I really liked the color combination. Kisses. Yes fall is such a beautiful time of year with the changing leaves nature really out does herself in fall, And ah yes burgundy and gold perfect for the fall. For this autumn, I’m loving the colour burgundy right now. It’s so stylish add of colour for Fall.